The main factor in that case was likely outright theft, and regarding U.S. government policy, Congress’ repeal of Glass-Steagall under the Clinton administration in 1999 and the repeal of the ban on most derivatives under the Reagan administration were the real factors involved. Stansberry is referring to Nixon ending the international gold exchange standard, which allowed foreign central banks to convert their USDs to gold at $35 an ounce, and there wasn’t anywhere close to 100% backing of the dollars held by other countries, so they were already lending out more dollars than was backed by gold. Furthermore, Goldman Sachs is not the largest U.S. bank. Market capitalization, for Goldman Sachs, according to Yahoo Finance, was $46.17 billion as of December 23, while J.P. Morgan Chase was valued at $127.49 billion. The net income available to common shareholders of J.P. Morgan was $18.55 billion, while it was only $3.76 billion for Goldman Sachs. For more on Porter Stansberry, see my article, Porter Stansberry’s prediction that the U.S. dollar will cease to be the world’s reserve currency in 2011 likely not to come true. For more on the bankster gold standard, see my article, The gold double standard. He then went on to talk about the end of the U.S. dollar as the world’s reserve currency (13:40). Commenting on the likelihood of Stansberry’s prediction much earlier than October 2011 wouldn’t have been that useful, as we learned in 2008, when the U.S. stock market was relatively high prior to September, before things began to massively collapse. And, obviously a prediction much later than now wouldn’t be of much value either. Therefore, on October 23, 2011, I predict that Stansberry’s prediction is likely not to come true. Eventually, the U.S. dollar will lose its status as the world reserve currency, since nothing lasts forever, and especially not a currency whose status is imposed through artificial forces, and not market forces. Except for gold, it was flat and lifeless from the get-go. Obituary by Bill Bonner. Why the inordinate fixation on gold? Especially this year, when silver is up 80% from a year ago today, from $16.99 USD an ounce to $30.63, and palladium is up 97%, from $402.00 USD an ounce to $791.00 on the London Fix. You can scarcely find mention of platinum and palladium in the libertarian forums. For some reason, platinum remains the overlooked investment metal and currency, and palladium has outperformed gold and silver for the second year in a row. The primary justification given for the mass ignorance of platinum and palladium is that they have never had a historical monetary use (which is false). Their monetary use, as evidenced by having international currency codes, has been less primarily because their extraction wasn’t feasible until modern times, not because they were never feasible as currencies. A gold-standard 1928 one-dollar bill. Last week, I heard a prominent alternative financial analyst say the U.S. dollar should be replaced with a new currency backed 15 to 20% by gold, or it wouldn’t fly. However, prior to the 1933 gold confiscation, the U.S. dollar was backed 35 to 40% by gold, and that didn’t prevent the Great Depression, nor the 5000+ bank failures or one-third contraction of the money supply from 1929 to 1932. Previously, I wrote the articles, Support for a gold-backed currency crosses the political divide and The gold standard loses its perceived lustre, with major media exposure. According to Gary North of LewRockwell.com, it is. That is, when you have to justify gold’s embarrassing performance from 1980-2001, from a closing high of $850 USD an ounce in January 1980, to a low of $255 an ounce in 2001. Official inflation from 1980-2001 was 115%, according to the BLS, while gold declined by 70% over that period. Gary North has to rely on making the arbitrary claim that 21 years is the medium-term in order for his claim about gold being an inflation hedge over the long-term, to not be utterly embarrassing. BusinessDictionary.com defines a long-term investment as one “that matures in more than 10 years,” and to me, 21 years falls well within the scope of a long-term investment, and outside that of a “medium-term investment”. Back in April, there was the report that Canada’s largest precious metals bank and member of the London Fix, Scotiabank, had almost no gold in their vault. “How secure is a “gold certificate”? Nowhere do they claim to have any physical gold backing their certificates. 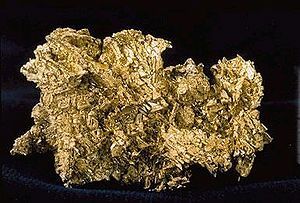 If you buy a certificate, you will see that they are legally required to deliver you the gold within a specified number of days after redemption, not immediately. Given their membership on the London Fix, and history of precious metals trading, they will likely be able to deliver physical gold to you according to the contract, barring an all-out physical gold redemption bank run. Even if you don’t get your physical gold, your underlying assets are denominated in USDs, so if the USD plummets, your holdings will be inflation-protected relative to gold, unlike if they were sitting in a savings account. Given that the Big Five Canadian banks have been consistently paying dividends since the 1800s — 1832 in the case of Scotiabank — I think it highly unlikely that all your assets would go the way of those held in the 5000+ U.S. banks that collapsed from 1929-1932. But, as they say in investment prospectuses, past performance is no guarantee of future results. I’ve heard of a check taking two weeks to clear if you try to cash one from an obscure bank in a rural area on one side of the U.S. in an obscure bank on the other, but 21 days is what I was told it could take to clear a USD check deposited into my USD account at Scotiabank. Interestingly, I was able to immediately get cash back on the deposit, up to the default maximum, which I hadn’t changed, of $2000 USD.